Endings are difficult. Do you leave the story open-ended? Do you lead into another story? Do you connect the story back to the beginning? Do you have an epilogue? There are a lot of questions and no answers. Ambiguous endings work from time to time, but so do endings that give a definite end to the characters. There is no one right way to tell a story, and there is no one right way to end a story. Watchmen’s final issue opens with six splash pages showing the destruction that Ozymandias has caused in New York city. There is a bit of a scuffle back at Ozymandias’ secret base as Silk Spectre and Doctor Manhattan get in on the fight. But, for the most part, the superheroics of typical superhero comics are not found here. Watchmen’s ending works well because the last third of the issue deals with Ozymandias potentially being right. The problem with many endings is that they become too simple. This is especially true with superhero stories, which usually end with the hero and the villain punching each other until the villain either dies or gives up. The writer tries to wrap up the story, so the story gets stripped down. But, Watchmen goes in the opposite direction—it gets more complicated in the final chapter. There’s a light scuffle in the first half, but then news stories come in on Ozymandias’ many TVs. People are scared that there is an alien presence threatening Earth. The United States and Russia begin to talk about peace. What’s the point of countries waging war only to be destroyed by aliens? Russia and the United States come together, and nuclear Armageddon is averted. Ozymandias’ plan worked. Instead of going with the easier ending of Doctor Manhattan coming in and crushing Ozymandias and the world finding out about Ozymandias’ actions, the comic pushes into unknown territory. Was Ozymandias right? Are the heroes still heroes for lying to the world? And who does watch the watchmen? It seems that in many superhero stories, if not many action/adventure stories, once the climax occurs, the story simplifies. Watchmen succeeds because the final issue furthers the themes and leaves the reader with something to think about. There seems to be a lot of focus on happy or sad endings. But, to me, a good ending is neither. To me, the ending is the lost shot at making your story memorable. Some readers might prefer a happy ending, and other readers might prefer a sad one, but if the ending is complex and leaves the reader not knowing how he or she feels, then the story will be one the reader needs to think about. If the ending is totally satisfying, then the reader just continues on with his or her life. In Watchmen, Rorschach is killed, Doctor Manhattan leaves Earth, Ozymandias continues on, and Night Owl and Silk Spectre are in a relationship and talk about continuing adventuring. There are a lot of questions and what ifs to play with the ending, allowing readers to continue the story in their own heads. The final sequence involves Rorschach’s journal, which he mailed before confronting Ozymandias, possibly being chosen by the young newspaper intern, Seymour, for some filler. The beauty of this sequence is that Moore and Gibbons do not show Seymour picking up the journal, nevertheless publishing it. The journal is in a pile of papers—it stands out because we as readers recognize it, but Seymour’s hand is just shown hovering about the pile. It leaves the reader questioning whether the journal will be published or not. And, if it is published, will anyone believe it? If it is published, will Night Owl and Silk Spectre tell the truth, or will they lie to protect the world Ozymandias has created? There’s a world after the story we as readers are given. There is a world before the story, and after the story. Watchmen’s ending is not truly ambiguous, however. Readers can play what if, but what occurs at the end is clear. Ambiguous endings can fail because events can be taken multiple ways or the story’s ending is unclear. With Watchmen, there are possibilities, but the ending that occurs is very clear. Questions are left for the reader to consider—questions about Ozymandias’ plan, about what Night Owl and Silk Spectre will do now, about whether the newspaper employees will publish Rorschach’s journal, and if so, will the world take it seriously. Any answers to these questions are valid. One reader may walk away knowing that Rorschach’s journal is published, that Ozymandias’ plan ultimately failed. Another reader, like me, believes the journal will change nothing, published or not. But both readers are correct. There’s nothing to really read between the lines—the writer isn’t trying to hide the true ending from the reader. Lives continue on, situations may change, but there s clarity in the ending. It seems to me that the most difficult aspect of writing an ending is to be clear, yet leave certain story elements still up in the air. Will the character’s actions produce lasting change? So we have come to this. The penultimate issue of Watchmen. The issue when the villain is truly revealed and his master plan is set. 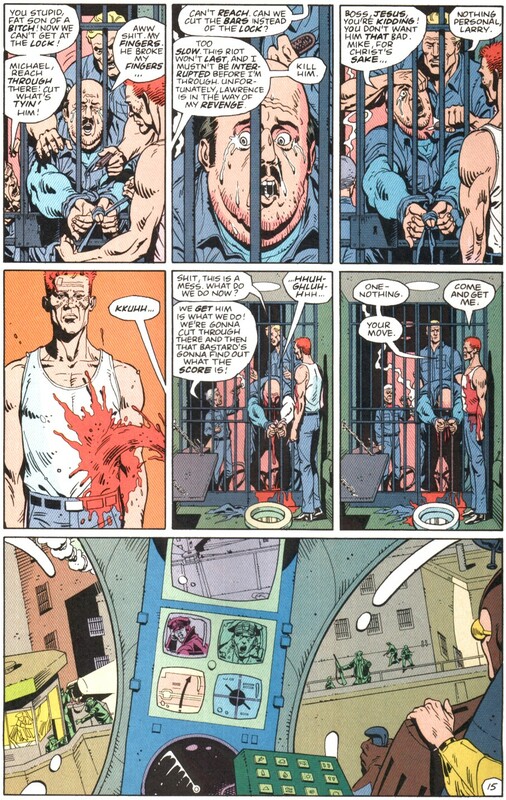 Although a few pages are given over to some of the residents of New York City, most of the issue is set aside for Night Owl and Rorschach’s confrontation with Ozymandias, the comic’s villain. There is some action, with Ozymandias easily taking care of the two heroes. (I must say, on a side note, how interesting it is to make Ozymandias so much more powerful that the heroes in this issue. At no point, do the heroes really even stand a chance at stopping Ozymandias. I like it.) The problem that many stories have, not just superhero stories, is that the villain ends up explaining the whole plot to the heroes. A lot happens in Watchmen, and readers do need to understand how each piece fits, but usually, there is no actual story-based reason for a character to lay out the plot. Yet, here in the penultimate issue, Ozymandias tells Rorschach and Night Owl everything. And it works! The issue is one of the best of Watchmen. Ozymandias doesn’t just reveal what he’s trying to do, but what he has done. He goes back to his beginnings as a masked vigilante. He talks about meeting The Comedian, about meeting his old teammates. Ozymandias is building an argument. The physical fights that occur between his words are because Rorschach attacks him while he is speaking. Ozymandias wants to help the world, just in a different way than Rorschach and Night Owl. The death of a few to save the many. Ozymandias only got Doctor Manhattan off world because Doctor Manhattan is too powerful, and The Comedian was killed because he discovered Ozymandias’ plan. Rorschach asks, “Blake’s murder. You confess?” and Ozymandias responds with “Confession implies penitence. I merely regret his accidental involvement.” Ozymandias, in a way, is right in distancing himself from emotion. A doctor cannot get emotionally involved with his or her patients. Perhaps a superhero must be objective. Ozymandias does not revel in what he has done, but he believes that by destroying the present system in place then the future will be secured. At the end of the day, the issue works when Rorschach and Night Owl refuse to let Adrian succeed. They have listened to his pitch, but they won’t let him do it. And, in response, Ozymandias utters one of the best lines of Watchmen, “Dan, I’m not a republic serial villain. Do you seriously think I’d explain my master stroke if there remained the slightest chance of you affecting its outcome? I did it thirty-five minutes ago.” The heroes are too late. Ozymandias isn’t trying to convince Rorschach and Night Owl to help him. He’s trying to convince them to understand why he did what he did. Being far from New York City, the location of the attack, the heroes don’t realize it’s too late to stop the attack. The problem with the villain explaining the whole master plan is that, of course, the hero is going to get free and stop the villain. The villain is really just telling the hero how to stop the plan. But, here, the trope is turned on its head. As Ozymandias is laying out what he has done and why, readers will rely on what they have learned from stories so far, that the heroes will win. The villain’s plan will not succeed. But, the reader is proved wrong in Watchmen. It makes the comic more memorable and more shocking, not by the murder of the residents of New York City, but by making the reader feel comfortable and then pulling the rug out from underneath. Without Ozymandias revealing his master plan, even if the same attack was set and went off without the heroes standing a chance, the issue would fall flat. A surprise only works if readers are led to believe one thing first. By relying on the cliché of the overly talkative villain, Watchmen brings something new to the table. Eventually, a story must come together—well, at least a good one. All the subplots and character interactions must mean something. Many writers seem to try to make their story “realistic.” More like life. But, life is meaningless, and stories help us make sense of the randomness of life. At some point, stories come together and give readers/viewers something to hang onto. As Watchmen approaches its climax, issue ten brings the disparate plots together. We get Nixon preparing to possibly start nuclear armageddon, Night Owl and Rorschach growing closer like real partners and understanding one another, Ozymandias preparing and heading to his secret base, the pirate comic featuring the “hero” returning to his home town, the missing scientists and artists boarding a ship thinking they are going home only to discover that it is a trap and are blown away, the solution to the “mask killer” theory of Rorschach’s as Night Owl stumbles onto financial files on Ozymandias’ computer, Rorschach mailing in the journal he has been writing this whole time to the New Frontiersman, and Night Owl and Rorschach approaching Ozymandias’ secret base to confront the potential villain. A lot happens this issue, and even though Watchmen is typically dense, this issue features a lot of moving parts to close out parts of the story and set the reader up for the climax. This is also the part of a story that I feel is the most difficult to pull off. A lot of moving parts can show the reader the strings to a story, the writer as puppet master behind the scenes. The closer the plots are to one another the better they will match up and the less strings a reader will be able to notice. For example, Rorschach mailing his journal and the solution to his “mask killer” theory directly relates to one another. Before going off to confront the possible villain, Rorschach mails his journal, afraid that he might not make it back. In instances such as these, subplots coming together make sense. Readers may feel fulfilled with the plot developments closing, but there’s no need to think of the writer trying to end plots because the developments make sense on a character level. Readers are still in the story. But, over developments, such as Ozymandias heading out to his secret base, Nixon preparing for a possible holocaust, and the end of the missing scientists and artists plot, border on coincidental. So, right when Night Owl and Rorschach need Ozymandias’ help and accidentally stumble on to the fact that Ozymandias is behind The Comedian’s death is when Ozymandias, unaware of his old teammates’ actions, leaves town to complete his master plan? If Ozymandias was still around, then Night Owl and Rorschach would not have accessed Ozymandias’ computer and would have never solved the case. Ozymandias has to leave for that plot point to work. Readers may begin to see the story’s strings. But, why does this work? Why do readers just follow this thread in Watchmen? In the thirty years since the comic’s publication, as well as a major blockbuster film adaptation, I have never heard of anyone complaining about this plot point. So, why do readers buy this, when in many other stories, readers would call out such coincidental actions? For one, and I think this is very important, there’s a strong payoff in the next two issues. I believe readers, at least many of them, are fine with overlooking the shuffling of the game board to set up something epic. And Watchmen succeeds in that. When there is little payoff, then readers begin to question the reasons behind it, and because those reasons don’t produce a stronger narrative, writers face a backlash. Secondly, for all the importance the scene has to the solution to the long-running plot of The Comedian’s murder, the comic has become much more than that mystery. The comic began with The Comedian’s death, but since then, the comic has opened up and The Comedian is barely mentioned anymore. The scene of Rorschach and Night Owl stumbling onto the truth is only three pages long. By moving onto other story elements and not building this one moment up to the reader, readers are less likely to look so hard on the scene. The scene is written as if it were just something inconsequential. Confronting Ozymandias is the important moment, finding out that the heroes need to confront Ozymandias is something that needs to happen, but that isn’t really important in the long run. Another coincidental moment, and perhaps one that is more difficult to pull off, is the end of the missing scientists and artists storyline. This story has existed on the edges of the comic. None of the main characters even seem to care. Most of the information has been given to readers through newspaper articles and TV programs that are on in the background. Here, in issue ten, the storyline ends in a two-page scene. There’s a ship departing the island where the scientists and artists have been kept, no exactly prisoner though. They seem to have been promised a great deal of money and now think that they will be free to continue their lives. Then, a bomb is discovered on the ship, it blows, and everyone is killed. This may seem coincidental, and it is. At the moment when the heroes will soon close in, the biggest evidence against the villain is destroyed. But, this moment has to happen—well, not necessarily the bomb, but the solution to the mystery. The reason this coincidental moment works is that it does not actually affect the story. At all. It never changes one of the main characters’ path. By being so inconsequential to the story, the scene actually succeeds. It’s just information for the reader. The main characters, other than Ozymandias who makes it happen, never actually find out about it. The plot has existed in the background this whole time and it ends in the background. The missing scientists and artists help explain how Ozymandias creates this master plan of his, which we’ll find out more about next issue, so it’s necessary to the story, but it never actually changes anything. It’s an explanation more than an actual subplot. At some point, coincidence is essential to storytelling. Some reader will always be able to ask questions like, “So, Silk Spectre picks this very moment to leave Doctor Manhattan, who wouldn’t have left Earth if she were still around?” Or, “Obi Wan Kenobi just happens to find Han Solo, a rogue with a heart of gold, in the cantina?” Or, “Superman just happens to land in Kansas as the Kents drive by, instead of in water?” At some point, readers just have to buy that certain story elements will occur. Any story can have holes poked in it. Coincidence in storytelling fails when it affects the main storyline, when it affects the protagonist(s). Readers then see the strings, see the writer working the story into a certain position, instead of allowing the story to evolve naturally. When I took Introduction to Creative Writing as an undergraduate student, I was given a list of things that I could not use in my writing. I was told that my stories would be stronger if I did not include certain things, at least as a beginning writer. I have forgotten most of the list, but a few of the items were: flashbacks, drug-addicted protagonists, and dream sequences. After reading the list, I was pissed off, as many undergraduate students seem to be when given constraints for their writing. But, as I get older and more experienced as both a writer and a teacher, I believe my instructor was right in restricting the content of our work. Yes, those items I listed are used in many stories, but as a student it was important to limit the playing field so that I could learn certain craft elements before moving on to more complicated elements. I still have a habit of trying to avoid elements such as dream sequences in my own work, but when used well, they can strengthen a story in unique ways. Issue seven of Watchmen is focused on Dan Drieberg (Night Owl II) and Laurie Juspeczyk (Silk Spectre II). Up until this issue, the two have mainly reacted to the story’s events, staying on the sidelines. But, now, they are reinvigorated and put on their costumes that have gathered dust over the years since their retirement and they go out into the night and rescue tenants from a burning building. And, in the end, Dan decides that they need to break Rorschach out of prison. Watchmen has entered its second half and it is time for the characters’ stories to come together. The difficulty in this issue lies in getting Dan and Laurie to put their costumes back on. They have been retired for years. In a comic, at least in this one, there is no interiority, no thought bubbles. And while that may be different in prose, point of view could prove limiting at times, and it may be more interesting to show something than to tell. Here, Dan falls asleep and the reader is given a one-page dream sequence (although there are two panels of the dream sequence on the next page). In the dream, he runs to a woman dressed in a black vigilante costume. She removes his skin from head to toe to reveal that he is Night Owl, and he in turn removes her skin, revealing Laurie. They go to kiss, but a nuclear explosion behind them obliterates the two lovers. The dream itself is very obvious in its metaphor. Deep down, Dan is a superhero. So is Laurie. He was not Dan Drieberg pretending to be Night Owl. 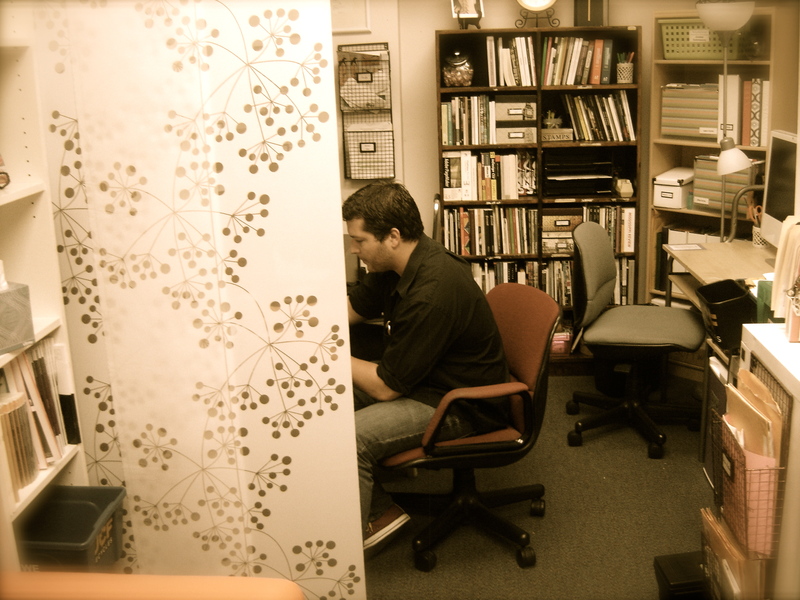 He was Night Owl pretending to be Dan Drieberg. And now that he has found happiness with Laurie, it is too late. The world will be destroyed. Finding happiness does not really mean anything. He has to protect the world or else his happiness will be destroyed. Because of this dream, he decides to suit up, and along with Laurie in her Silk Spectre costume, they head out into the night to protect the city. The dream sequence works on a technical level because the sequence changes style from the rest of the comic. Most of the comic is told in a nine-panel grid (3×3). But, the dream sequence is told is many more panels, which are thinner. There are two rows of six panels, and the final row has four dream panels and one panel (the size of two dream panels) of Dan waking up from the dream. The reader should not be tricked. The reader should not turn the page and think what they are seeing is really happening in the story. By changing the structure and the style of the panels, the comic signals the reader that there is a change. The pacing picks up. It takes a shorter amount of time for the reader to absorb smaller panels than larger ones. Then, in that final panel of the page of Dan waking, the reader stops, hit with the same intensity that Dan is. There is no other page in the issue that is set up like this dream sequence. And it works because of just that. Alan Moore and Dave Gibbons makes the dream crucial to the story, stylistically different so that readers know it’s a dream, and a combination of easy to understand and weird to take advantage of a dream state without losing the reader. 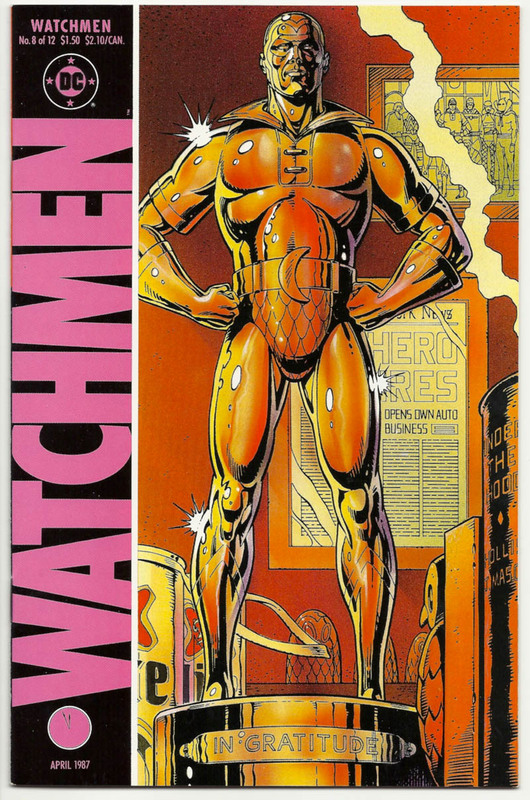 A few weeks ago, my Forms of Illustrated Narrative class discussed Watchmen, and when I asked my students what they thought of the symmetrical structure in issue five, they look looked confused and began flipping through the book. Rorschach is the focal character of issue five. The comic itself features a symmetrical panel layout. The first page matches the layout and coloring of page twenty-eight. The second page matches with page twenty-seven. And so on. At mid-point, the story moves away from Rorschach and features a scene that is an assassination attempt on Ozymandias’ life. 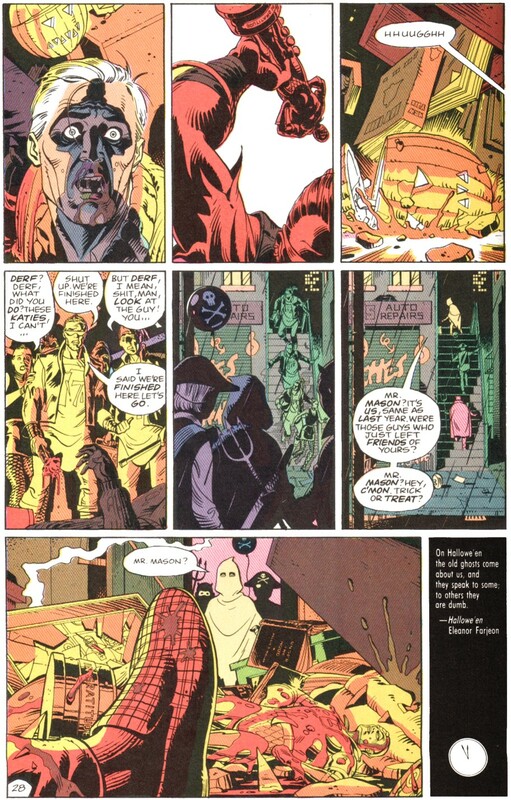 At the exact middle, Ozymandias strikes his would be assassin, with Ozymandias featured on the left page and the assassin on the right, with those two pages acting as the mirror for the comic. The issue is all about duel identities, so it’s a fitting choice, the symmetrical layout. Rorschach is finally unmasked. Ozymandias acts as the mirror for the layout because he is the comic’s true villain, not yet revealed. Once I pointed all of this out to my class, the students seemed to understand and were somewhat amazed at the craftsmanship on display. Yet, the students did not notice when they first read the issue (for some students, this was not their first time reading Watchmen). What’s the purpose of a craft decision that the reader will not notice, or at least many readers will not notice? This is a lot of work to do for the writer and artist. Should readers understand the ways craft elements are used while reading? This is not just an issue for comics, either. The other day, a short story writer spoke to me about how her workshop failed to notice that the ending to one of her short stories mirrored the opening. She thought it obvious, but the approach seemed to go over everyone’s head, even the professor’s. It comes to me now that there may not be an answer to my questions. Whether a story or an essay or a comic is successful or not depends on the goals of the writer. If one’s goal is to show off a certain technique or structure—for example, if the goal of issue five of Watchmen was to show off the symmetrical structure—then the creator(s) may feel that the work failed because readers did not understand. But, if the goal is to the story and to the characters, then the reader not consciously understanding a certain technique may not be a problem. My goals as a writer have little to do with showing off or feeling intelligent, so for me, story and characters come first. A reader not realizing some intricate subtlety is of little concern for me. How many times does it take to read a piece of writing for you to understand it? When I read poetry, I read a poem three times, each time slower than the last. A poetry professor during my MFA taught me that approach. Reading a poem three times allows me to understand it. I feel the same with other works. My first time seeing a film is not the best time. Once I understand what will happen, I can study each scene. With essays and short stories, I prefer the second or third reading. When I teach a work, I mostly prepare by reading the work again and again. I may read an essay four or five times before teaching it (and that is not counting the times I read it before I put it on the syllabus). The first time through, I understand the plot (hopefully), but not until a few times through am I able to really see the craftsmanship on display. Now, I confess, I may just not be as smart as other readers, and I am sure there are stronger readers than I myself, but I have three college degrees and will begin work on my PhD this fall, so I am not an idiot and I feel on the scale of reading and analysis strength I am on the stronger end. There is only so much a person can keep track of at one time. Having to read a work multiple times to understand craft is not a terrible thing. To me, most work a writer does a reader feels subconsciously. This may be why it is so difficult for students to analyze work. My students may not have consciously noticed the symmetrical structure of the fifth issue of Watchmen, but they felt it. They felt secure in the storytelling. They understood the themes and plot and character arcs of the issue. Understanding how the writer and artist did their job will take multiple reads and intense study. That is why writing professors have jobs. To show students to slow down and really study a piece of writing. In a creative nonfiction workshop last semester, I told students to study the beginning and the ending of essays and they will notice that the ending of a personal essay typically refers to the opening either by reusing certain language, imagery, or plot details. Once students began paying attention, they could pick it out quickly. They were then able to use the same approach in their own essays. Writing, to me, is not much different than crafting anything else. You can build me a house and I will not be able to walk through it once and understand how everything was constructed. I will only see a house, at first. But, if I carefully study each room, each window, each door, each separate element of construction, I will be able to understand the craftsmanship on display. The same goes for music, movies, paintings, etc. Artists work in the subconscious. That is why it is difficult to make art. A reader does not need to understand everything you have done as a writer. A reader only needs to understand the literal events of a piece of writing and get something out of the time he or she spent reading it. Accept that most of what you do as a writer will only be noticed by other writers, and feel content in knowing that if other writers stop to study intently your work, then you have crafted something worth understanding fully.